The many names of Gandalf: Mithrandir Stormcrow Grey Pilgrim Tharkun Grey Fool Lathspell Incanus. So many options...we suggest that you get the Gandalf Hat before you decide what to call yourself. After all, as all wizards know, a name is a powerful thing! 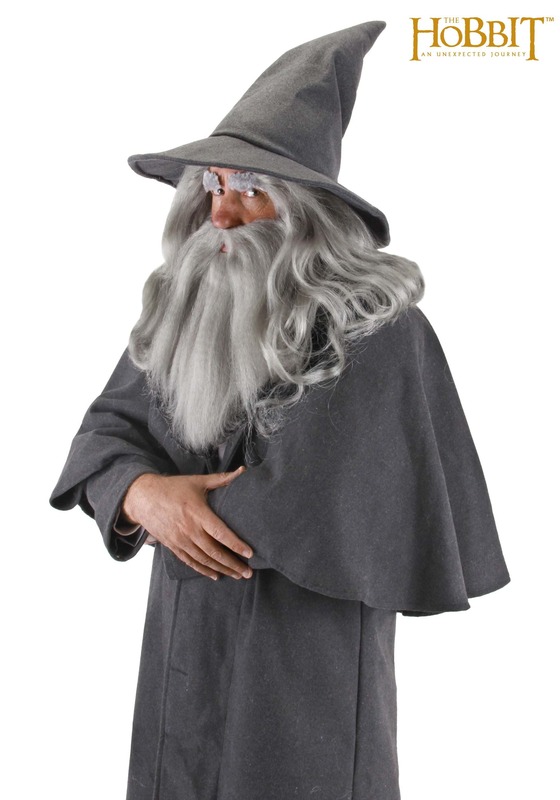 If you're looking to guide some hobbits to Mordor or you simply want to set off some awesome fireworks in the Shire, you'll be in character in this dignified grey hat. This magical topper has a flexible point and a floppy brim making it perfect for rugged Middle Earth travel. Can't decide on which name to use. Don't worry, take your time. If you're late to that costume party just remind the revelers that a wizard is never late, or early, he arrives precisely when he means to. This is no knock-off Gandalf wizard hat.The tag inside says it's official "The Hobbit- An Unexpected Journey" gear, and that was a magical surprise. Quality is great.